The AUDIO-RESEARCH LS3 is one of the greatest pre-amps the world has ever known. It MUST be. I cannot imagine anything sounding much better than this. Sure there are some that cost more (Audio Research’s own latest Reference 5 is around twelve grand) and I’m sure there must be, at least, a slight increase in quality. Though cynics may say they’re mostly pandering to those who like to brag about the cost of their equipment, and filling the coffers at the same time. For me, perhaps after several ‘slight increases’ I’ll reconsider my stance, but the point of diminishing returns must have been passed somewhere long before this pre-amp's moderately expensive original price-point. However, if the Reference 5 somehow combines, and improves upon, the strengths of the LS3's disparate modes then it might just be worth the price, as you'll probably agree when I elaborate on the strengths of the LS3's two modes of operation, 'normal' & 'direct'. The LS3 line-stage pre-amp is one of the two components that have made the biggest difference in my current system (night and day). 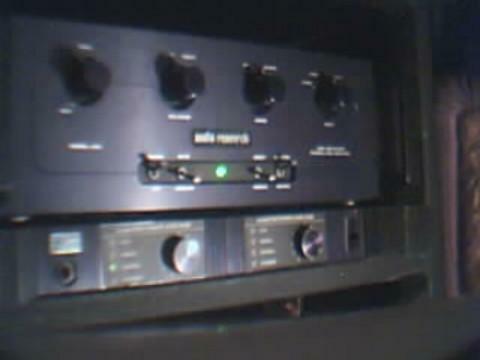 And no, good as it is, my UREI power-amp isn’t one of the two. Compared to other pre-amps, including an outstanding Quad 33, the sound of this Audio-Research was/is natural, open, airy, notes are clearly defined, stereophonics are near 'holographic', instruments/voices are sharply delineated on a wide sound-stage, voices and instruments seem bigger, more life-sized as the lower-mid-range void is filled-in, never before revealed low-level details are now apparent, appropriate notes blossom, bloom, and glow, then linger and fade in a way they never ever did before - in a way eerily reminiscent of the live experience. Dynamics, bass, and treble are truly top-notch, but it is this pre-amp's outstanding and unerring fidelity to the WHOLE of the mid-range that most distinguishes it from the pretenders - as we'll see. This thing is awesome, and fully deserves its place on Hi Fi Critic magazines best pre-amp list, and Stereophile’s class ‘A’ components. This 'review' is, originally, a segment of the multi-part article, 'System-Building for Lifelike Sound', regarding the components of my own audio-system. However, due to the dearth of reviews on this outstanding component I've decided to publish this segment as a stand-alone 'review' with a view to assisting those who, like me, have searched fruitlessly for in-depth comment on the subject. I hope this is helpful. Insight into the popular 'sound' of high-end, today, is also intrinsic to this account as it relates to a comparison between this pre-amp and the "purists'" mode of system operation - passive or 'pre-amp less'. There is, indeed, a school of thought which asserts; it is best to eschew the use of a pre-amp and connect ones line-level source-component directly into ones power-amp – a school of thought to which I once subscribed. For years, I used no pre-amp. My CD player was directly connected to my power-amps, and yes, it sounded significantly better than having a pre-amp in the chain. But then the LS3 arrived for a demo, and I was literally BLOWN-AWAY. An audiophile friend in attendance was also blown away by its performance. Its night and day effect on the system was virtually indescribable, so I’m tempted to leave it at that, for the most part. Suffice it to say, for the moment, that it made me appreciate the quality of both the UREI amp and my KLH/NS10-derived D.I.Y. 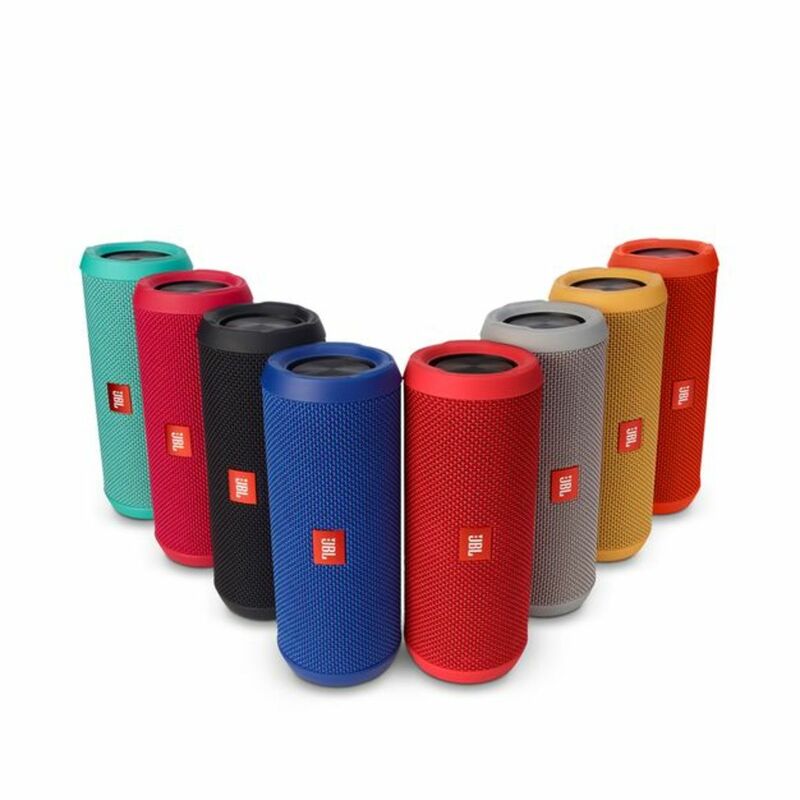 speaker-system. LS3 versus PASSIVE (or PRE-AMP LESS) OPERATION: The argument vehemently posited in certain circles is that operating without a pre-amp is the ultimate mode of operation for a system - absolutely nothing can be better. [Certainly, this mode is even purer and more passive than a typical 'passive pre-amp', for obvious reasons]. This is a perfectly credible argument loaded with an immense amount of logic advocating purity and simplicity of system-operation. And since I’m a former ‘believer’, it would be remiss of me not to specifically relate the details of my own experience regarding the difference between operating a system without a pre-amp, and operating with the LS3. In a nutshell - LOWER-MIDRANGE BODY, and a near indescribable, but life-like "GLOWING"-MUSICALLITY. Those are the differences. The LS3 IS better. At least in this system, it's better by a significant margin! This pre-amp has become, perhaps, the most critical component in the system - take it out, and the system goes flat, the lower-midrange goes missing, it resorts to merely very good, perhaps even extremely good hifi, but hifi nonetheless. The LS3 is the elixir that breathes life and uncanny realism into the system. A recent storm had caused me to disconnect the system for several days. Impatiently, I'd eventually reconnected without the pre-amp, that's what reminded me of what the LS3 did for the system, and inspired me to expand this segment into a full 'review'. Without this pre-amp the system, to me, sounds dry and analytical, the type of sound many seem to love, but with which I’ve long been dissatisfied as it lacks the afore-mentioned elements necessary for natural realism. It reminded me of how the system sounded before the LS3's arrival. Reconnecting this pre-amp returned the blossom, bloom, glow, linger & fade of appropriate notes, and also returned the all-important lower-midrange body. It allows all the other components to exhibit their prowess in these areas. Without the LS3, for instance, the UREI and the KLH's sound ordinary and flat, just like most other 'very good' amps and speaker-systems I've heard, they're unable to display their extra-ordinary abilities at operating in the area most other components and systems can't even visit - the lower-midrange. The lower-midrange prowess, and that vibrant bloom, linger & fade of notes, in addition to its uncommon dynamism, these are some of the factors which distinguish this audio-system, set it apart from the merely very good, and facilitate its approach to the realms of sonic realism. And the Audio-Research LS3 plays the starring role in this scenario. In one sense - just this one sense - it's even more influential in a system than a turntable, I would argue. That's because the turntable's contribution is confined only to that source, but the pre-amp brings its benefits to every source - even CD's sound more realistic thru the LS3. It is THE KEY component without any hint, or shadow, of doubt! 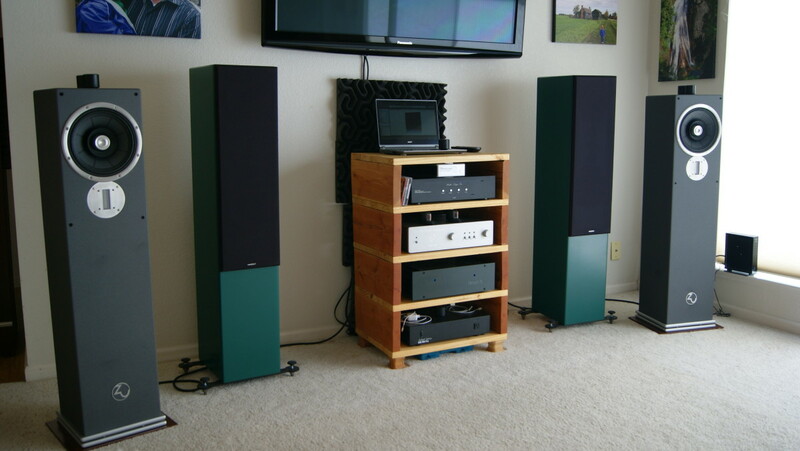 A rare disappointed user at audioreviews.com, some time ago, described the LS3 as bright and analytical. I would politely suggest that it's more definitely the system, or other components of it, that is/are at fault. That criticism could never be further from the truth. For an example; I've already indicated, in the article, 'SystemBuilding for Lifelike Sound', that most ss amps 'chop-off' the lower-midrange (claims of ruler-flat 20khz to 20hz response, notwithstanding). That alone would negate one of this pre-amp's main advantages. Therefore, this combined with most high-end speakers which also 'chop-off' the lower-mids in addition to being overly bright-sounding and relatively thin on bass, will cause any component to sound bright and analytical - no offence meant. In addressing those who would argue that a system should sound better without a pre-amp, and therefore this pre-amp's virtues may be due to a coloration, I'll say this: Any coloration that makes my system sound as good and as realistically lifelike as this, I welcome with open arms. In actuality, though, the LS3 is said to be as neutral as they come, neutrality is one of the pillars on which its reputation stands. I really don't know why it sounds so much better than pre-amp-less, so to speak, but it does, and I'm 'extreeemely' happy with that! And, yes, it does have a virtual pre-amp-less or, passive, mode labeled; 'direct' (its purest mode of operation). In this mode it operates as a 'passive pre-amp', where most of the circuit is cut out, and yet it still seems to sound better than when source-components are plugged directly into the amps. Audio-Research did make exactly this claim in an ad for the previous LS1. I'm inclined to concur, so far as the LS3 is concerned. However, I use it most frequently in the (active) 'normal' mode partly because I do a fair amount of recording which can't be done in the 'direct' mode. Perhaps more significant, though, is the fact that I seem to prefer the sound - the fullness of tone - this unit produces operating in the 'normal' mode. Yes, the sound in 'direct' is slightly clearer, and perhaps slightly more dynamic, treble is also more prominent. But it is, also, almost as thread-bare in the lower-mids as when the system is operated pre-amp less, so while I appreciate the benefits the 'direct' mode brings to limited areas, I always find myself yearning to go back to the 'normal' mode for the full-toned naturalness that so enhances the overall realism of the reproduction. To put it simply, 'direct' is like an excellent solid-state pre-amp excelling at the leading-edges of notes, with due regard to transients and dynamics - the 'normal' mode is like an excellent tube pre-amp excelling at the trailing edges, and lower-midrange resonances intrinsic to many of those musical notes. But it goes further, for while the 'normal' mode is close in competence at the 'direct' mode's areas of strength, 'direct' cannot even approach the 'normal' mode's areas of excellence. Because of its uncommon strengths, the 'normal' mode brings to the fore all the lower-midrange sounds, tones, and fades of notes that are usually hidden by the vast majority of components and systems which are mostly inept in this region. Every musical track is now a treasure-trove brimming with previously hidden gems of musical information that all conspire to make each recording sound much more like a live performance. This pre-amp, in the 'normal' mode, loves acoustic instruments like the piano and acoustic guitar, for just two examples, and goes above and beyond the call of duty to reveal every nuance of tone and overtone, not to mention very nearly the last iota of the resonances all such instruments produce in live performance and, therefore, instruments tend to sound life-sized, not miniaturized as thru most components. Certainly because of its excellence with acoustic instruments, electronic instruments also benefit. 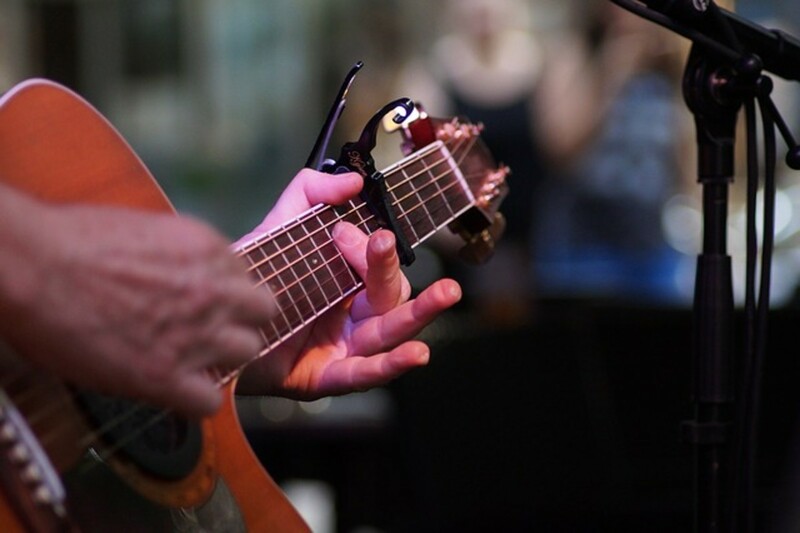 For instance, the electric guitar so common to most popular music such as in reggae, rock & roll, electronic-jazz, 60's/70's R&B, etc., now display their full range of tones (which bloom, expand, and sound appropriately 'big') instead of the small, flat, and constricted generic nasal twang most components reduce them to. Most remarkable, though, are those previously barely discernible hauntingly melodic ghosts of guitar virtuosos extremely deep in the mix which the LS3 now more prominently exposes within their proper context. Moreover, the ringing and prolonged fade of those notes along with their melodic tones give insight as to why electric-guitarists have always insisted upon tube-amplification for their instruments. The LS3 in 'normal' makes all this information clearly apparent, more so than any other component I've yet encountered. The foregoing notwithstanding, I believe this pre-amp's greatest accomplishment is with the most difficult of instruments to reproduce convincingly - the human voice. Many components, including the LS3 in 'direct' mode (and pre-amp less) seem to truncate certain voices at the bottom of their range causing a kind of 'clipping' effect where the voice hardens in this region. This I discovered with the LS3 in 'direct' while specifically comparing both modes recently for the expansion of this review. This effect rarely occurred with Diana Krall's voice even though it generally sounded thinner than natural, but it was most blatantly apparent with Michael Franks at the low range of his (similarly thinned-out) voice, on one track especially, where the pre-amp in 'direct' seemed to reach the point at which it could trace the signal no further, so it 'clipped', for want of a better expression. The same phenomenon, though rare in both instances, sometimes occurred in my days of pre-amp less operation. In the 'normal' mode of the LS3, however, this never ever happens, and there's no un-natural thinning of the voice or any other instrument - ever. I'm growing tired of using the word 'real', but that's exactly the way voices sound thru this pre-amp in the 'normal' mode - full, and natural, and REAL! More evidence of the LS3's superiority is apparent in its treatment of previously barely-discernible voices deep in the background. Back-up singers, for instance, are afforded greater exposure in this pre-amp's 'normal' mode as it elevates them from the barely evident homogeneous blob most components reduce them to, and separates and projects their voices to reveal distinct individual singers with unique vocal characteristics (even chest-cavity resonances) just as it does with all appropriate instruments, whether they're up-front or extremely deep in the mix. Countless are the times I've belatedly 'discovered' 'new' singers and instruments I never knew were there on recordings I'd listened to for years thru other highly-rated components and systems - now revealed in all their lifelike glory thru the 'normal' LS3. It bears repeating; this-thing-is-AWESOME! The ideal would be to combine the slight increase in purity/dynamism of the 'direct' mode with the fullness of tone the 'normal' mode provides. (If Audio-Research's latest Reference pre-amp actually does this then it's probably worth it's weight in gold). I'll continue to experiment with inter-connects, etc., to see if this can be achieved by such means in 'direct', but I doubt it. I have ideas as to how this can be achieved by other means, but that's another long story. Moreover, with the current level of performance, I really don't feel compelled to modify anything. So for now, since a choice must be made, the decision in favor of realism is easy, especially since the 'direct' mode's limited benefits are not that great, in comparison. This review is, therefore, based primarily on the LS3 operating in the more realistic (active) 'normal' mode. But be advised; the LS3's prowess in the lower-mids will only be accessible to those rare systems which are also proficient in this area. [With most systems (which are, unfortunately, deficient in the lower-mids) the LS3's passive 'direct' mode will be slightly more mid/treble-'detailed', and 'better' (for them) even if not as realistic, overall - as previously articulated]. Putting the above into perspective, pre-amp less operation is similar in sonics to the LS3's 'direct' mode, but even less accomplished. This is because some of this pre-amp's 'glowing' musicallity is still displayed in the 'direct' mode, albeit to a lesser degree than 'normal' - call it a 'thinned-out musicallity'. But pre-amp less operation doesn't offer even that - producing, instead, a dryer more mechanical sound along with its lower-midrange anorexia. Connecting a source-component directly to one's amp is no panacea for sonic realism, in my experience. It can even be a deterrent as the life and body of the sound can be sucked out of a system which is perfectly capable of LIFELIKE reproduction. What is left is a thoroughly competent sound that is crisp and clear but dry and analytical, and also bereft of lower-midrange body, liquid-lucidity and lifelike-musicallity. Let us even concede that it minutely lowers the 'noise-floor', which logic would suggest - but the price is too high. And I'd much rather to have the big-picture whole and complete than to have that picture missing a major part, but brandishing a microsonically lower 'noise-floor'. The bare-boned 'nakedness' of this type of sound does encourage and facilitate analysis of the detail of what's left of the music (after the life and body have been sucked out) but to me analyzing a dead inanimate object, minus a major part, is not a pleasurable prospect. I'll leave that to the coroner. Nevertheless, I can see why lovers of analytical detail would endorse this type of sound. It does not really provide that much more detail, but it does make it easier to examine what's left after some 'distracting elements' (mainly the lower-mid body) have been stripped away. To each his own. But the truth is; music cannot live, or be lifelike, without its body. It's a fact of nature. It's a fact of life! I've said elsewhere (re; 'From HiFi to High-End: What's Wrong?') that approximately 90% of the sounds of nature and music are in the mid-range. [This can be verified by a glance at any graphic sound-spectrum analyzer as it responds to music from a CD or LP, for instance - not from the speakers]. Therefore to compromise the mid-range in any way, is to compromise the realism of the whole reproduction. That lower-midrange, which is currently so uncommon in today's systems, is what gives live instrumental sound its robustness, its body, among other things (not the bass - check that spectrum-analyzer again). Take away the lower-mid, as most systems do, and the resulting sound can never be regarded as accurately representative of the real thing. It can never be lifelike. This is a fact! LS3, PRE-AMP LESS, & TODAY'S HIGH-END SOUND: Sadly, I realize that this is the type of sound many people appreciate if only because most amplifiers and, absolutely, MOST modern speaker-systems are incapable of reproducing the lower-midrange body (and the almost indescribable musicallity) to which I refer. For a system to be truly lifelike it simply MUST be competent in those areas (especially the lower-midrange) as a pre-condition. But even with the most competent speakers and amps (in these areas) pre-amp-less operation could negate those abilities, as I've discovered. It limits, strangles, and withholds the lower-mids from the rest of the system, so even if ones amp and speakers are proficient in this area, one will never be exposed to the wealth of information in the lower-mids. 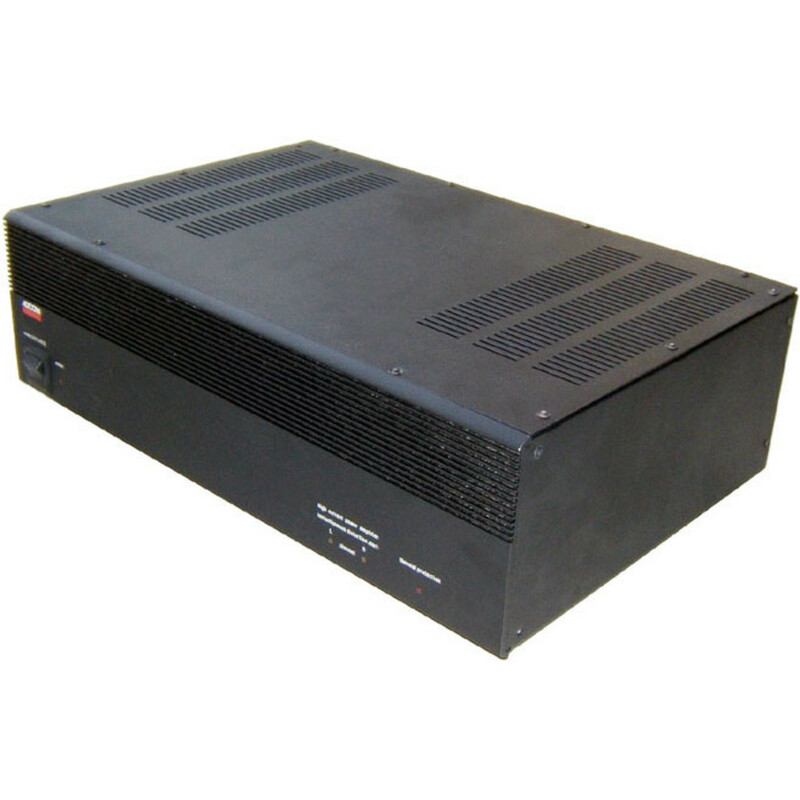 The LS3 releases all that lower-mid information to amps and speakers capable of operating in this area. The result is enhanced realism; musical notes become whole, and complete, the resonance of certain instruments is liberated allowing the instrument(s) to sound truly like the real thing and as big as life, notes in this region are more full, they expand, they linger for longer, then they slowly fade into oblivion regardless of the cacaphony around them. I was lucky to have an amp and speakers that were capable of showcasing the considerable advantage the LS3 holds over 'pre-amp-less' (and other pre-amps) in the lower-mids - otherwise, I might never have bought it. If, however, ones amps or speakers also limit the lower-mids, as the vast majority do, then one will never notice that much of a difference in this area. Perhaps other systems react differently, perhaps I'm wrong, but I sincerely doubt it on both counts. I almost wish I were wrong, believe me, as these findings run counter to the opinions of some whose opinions I respect. What's more likely is that this dry, analytical sound bereft of the lower-mids (such as that provided by pre-amp less operation) is more widely accepted and loved than I'd initially thought. In hind-sight, though, I should have known better since I’d already recognized that this is the type of sound that has dominated high-end since the late ‘70’s when mini-monitors, and their detail-filled but thin mid-range sound, took the world by storm. Lower-midrange sounds are, indeed, a prominent feature of nature (and live, un-amplified music). And previous generations, recognizing this, incorporated the capability of reproducing the lower-mids in their speakers (and amps) calling it ‘good tone’ then. Examples are; Tannoy, Bozak, Acoustic-Research, Klipsch, KLH and Advent, to name a few, most of which are still acclaimed as being amongst the most realistic reproducers of sound, in one sense or another. Despite short-comings in some areas – all were/are proficient in the lower-mids. In a recent discussion about the requirements for sonic realism, in issue # 162 of The Absolute Sound, stacked Advents were mentioned amongst the most realistic reproducers of sound - ever. (Oddly though, they neglected to highlight its considerable advantage over modern speakers in the lower-mids - the very trait their designer, Henry Kloss, was famous for ensureing in virtually all his designs, including A-R and KLH). Tannoys are still widely used as studio-monitors, and universally respected for its realism, so is the Klipschorn, in the latter respect. But then mini-monitors came along with all their impressive features, but also with the intrinsic inability to properly reproduce the lower-mids. Yet this thin detail emphasizing mini-monitor style mid-range is the standard the industry adopted, sacrificing the essential lower-mids for the sake of the analytical detail and superior imaging mini-monitors provided. Indeed, the current high-end standard-bearer, arguably, is just such a pup, with a woofer attached. This thin mid-range is what is now described as neutral, since the 'standard' has been long translated to all categories of components. As I see it; that thin mid may be ‘neutral’, but it is a 'neutrality' compromised by ineptitude at the essential lower-mids - and at sonic realism, as a consequence. Restore the lower-mids and ‘neutral’ expands to become ‘NATURAL’, as nature defines it – that’s what a component like the LS3 excels at. Certainly, if one considers the fact that, with very few exceptions, all of the (otherwise ‘excellent’) speaker-systems many rave about are also incapable of realistic response in the lower-midrange (since they adhere to the thin-midrange mini-monitor 'standard', re; parts 1-4 of my articles on the subject) then it becomes perfectly understandable that such individuals would also rave about a mode of system-operation which compromises the lower-mid body, tones, & details those speakers never exposed them to, in the first place. Pre-amp-less operation does render the pure, detail-filled reproduction all lovers of analytical detail would love (as do the best pre-amps). And since the missing lower-midrange is a non-issue with most speakers (and fans of such speakers, and components) I can see now why an avid, analytical lover of detail and simplicity/'purity' of operation would enthusiastically endorse such a mode of system operation - as the saying goes; 'you can't miss what you never had'. Nevertheless if, and only if, the results with my system are universally representative, then any truly lifelike-sounding audio-system operating pre-amp-less could only be achieving its lifelike reproduction despite its pre-amp-less operation, not because of it. [And, do remember, a system cannot be truly lifelike without realistic response in the absolutely essential lower-midrange which such a mode of operation seems to compromise]. So, while I will not say it's impossible for such a system to be lifelike with the requisite realistic response in the indespensible lower-mids, I will say this: Provided the speakers can accommodate the lower-mids, such a system must be compensated by the crucial contribution of lower-midrange body (and 'life-like musicallity') from some other source such as tubes (perhaps the 300B tube - notorious for its wonderful 'harmonic-distortions' fattening the lower-mids) or a solid-state component which displays the sonic characteristics of tubes: - A component with characteristics similar to those of the LS3. TUBES or NO TUBES: Indeed, Audio-Research has built its reputation on tubes, they make very few solid-state components. And being a fan of long standing, I've always been somewhat familiar with most of their products. I knew, for instance, that their LS1/LS2 pre-amps were hybrid combinations of tubes and transistors. So naturally, when the LS3 arrived for a demo, I'd instinctively assumed that tubes were integral to its make-up. (There was/is no official review on the LS3 that I could find anywhere, and the manual doesn't specifically mention its parts. An overwhelmingly glowing rave-review by Martin Colloms in which he may have hinted at this pre-amp as being one of the world's best - is not currently displayed on the 'net by Stereophile magazine in their 'Archives'. However, I've been promised that this omission will soon be addressed, so LS3 fans may look forward to that, thankfully). Anyway, even after looking thru the mesh top and seeing no tubes, I'd assumed that they were lying on their sides under the circuit-board. With the shock of hearing the natural and glorious sound it produced, I commented to a friend that nothing but tubes could ever sound as natural and as realistic as that. The seller made no comment. My audiophile friend agreed whole-heartedly, adding that he'd never heard any one component make such a big difference in a system that was already 'top-flight'. The only change I'd made, after playing the first demo track, was to unplug the CD-player from the power-amps and insert the LS3. 'What Will I Tell My Heart' is a jazz track (#7) on Vanessa Williams' 'Comfort-Zone' album. This is the same track I'd played 'pre-amp-less' for the demo before-hand, and was blown away when the LS3 started to play. Lower-midrange body appeared from nowhere revealing a level of performance I was never sure those speakers and amp were capable of, not to mention that CD-player (my turntable was not in use at the time - long story). That piano sounded solid and present in the room, tones and over-tones, and over-tones of overtones were now arrestingly apparent, and dripping with melody. The same for voice and horns. Even drums and bass, in some sense, every instrument now assumed a solidity and tangibility, a vibrancy inordinately more representative of the live sound. Certainly, dynamism was stellar. There was more air and space between performers, and between musical notes. The notes of every appropriate instrument - piano, for instance - now radiated the glow and resonance they portray only in live performance, and (rarely) in reproduction with some outstanding tube equipment. But this was even better than the previous tubed equipment I had been exposed to. I made the decision to purchase the unit there and then, after the first notes of that first track. I'll never forget that song, and that experience. 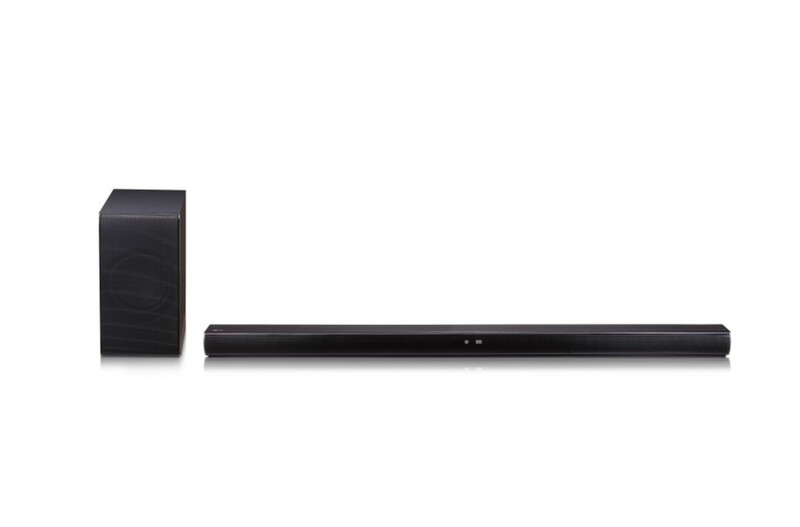 Nothing but a tubed component could display this extra-ordinarily NATURAL sound. [I should know, I'm a 'seasoned-expert' (yeah-right, - expert my a...) I'd previously owned a few tubed pieces - nothing that made such a difference though]. But I was wrong. Comprehensively wrong. The LS3 is wholly, solely, completely and, yes, comprehensively - solid-state. Audio-Research's William Zane Johnson must be an absolute genius, it seems everything he touches turns to TUBE. That's all I can say in my own pityful defence for being fooled so, ahh, comprehensively. I'm too ashamed to mention how many months I went along listening to this outstanding component, in blissful ignorance, thinking that tubes were responsible for its natural sound - so I won't mention it. No one can force me to mention it. Can they? Naw, my lips are sealed! The seller never made me any wiser, and I don't blame him because, knowing me and my affinity for tubes, he probably knew I would have called-off the demo long before the listening-stage - and I probably would have. Now I'm glad he kept his mouth shut and allowed me to listen, I have no regrets. Now I seem to have the best of both worlds; the natural realism of tube-like sound without the hassle and expense of tube replacement. Is that cool or what? I'd advise any audiophile more interested in overall sonic realism than in fad-of-the-week hype, and narrowly focused obsession, to look closely into Audio-Research's products. For me, the LS3 is tangible testament to the relevance, and authenticity of their forminable reputation. Therefore, I harbor no reservation in proclaiming that the best of these deservedly highly-acclaimed components can be ab-soo-lutely PHENOMENAL in their ability to lift a system closer to the realms of LIFELIKE-REALISM! Since my early 20’s I had lusted after the classic Audio Research SP8. The many rave reviews on this pre-amp waxed lyrical about its vast superiority over virtually every other pre-amp known to man, at the time, and about its transforming, and elevating, effect on every system it graced. But now to own the Audio-Research LS3, which some say is even better, is an honor for which I am truly grateful – excuse me while I wipe a tear! A MAJOR FAULT COMMON to MOST AMPLIFIERS: Where's The Body?